Share the spirit of service. Keep guests engaged in the event and give your wait staff a break when you use the Lions Club Drink Ticket. 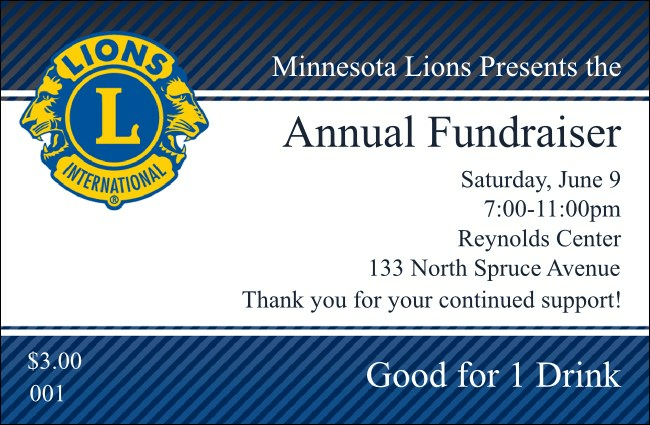 Printed in color, this ticket is individually numbered and features the well known emblem of the Lions Club. TicketPrinting.com carries tickets for any occasion.